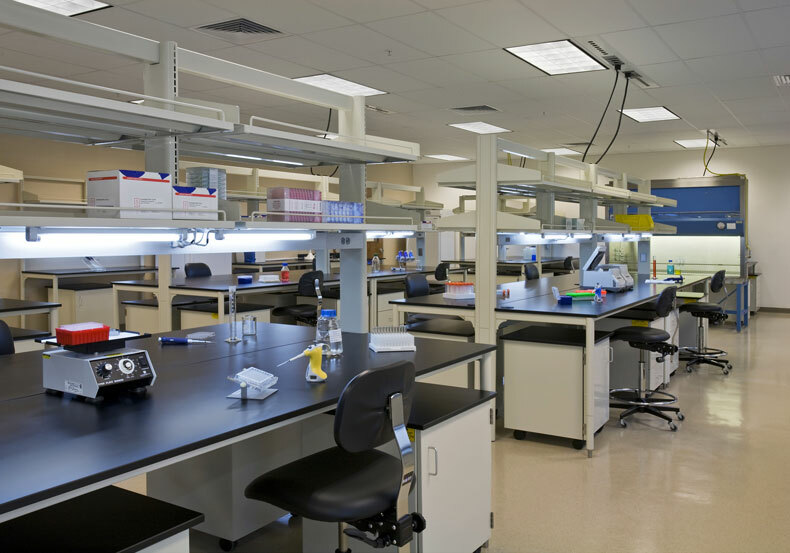 Tarlton completed the addition of research and development space at Millipore’s St. Charles location. The design-build alteration and expansion of Building B15 spanned two floors, with sustainable design and construction goals in support of a corporate commitment to sustainability. The build-out of existing shell space included a 4,200 sf multi-purpose café/meeting area and 5,200 sf of office space, including private offices and partitioned cube areas. The addition also included 11,000 sf of light manufacturing areas, with walk-in freezers and 15,000 sf of BSL LEED Certified research and development labs.